With an incredible mix of fun things to do, Orlando is an ideal destination for the young and the young at heart. 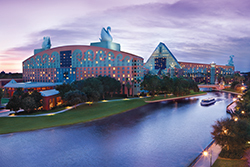 The Walt Disney World Swan & Dolphin Resort is home to the 2019 NASFAA National Conference. This award-winning hotel is nestled between Disney's Hollywood Studios™ and Epcot®. Complimentary shuttle transportation from the WDW Swan & Dolphin to and from Vineland Premium Outlets. Reserve your ride online, by calling (407) 390-0000, or visit the hotel concierge desk. 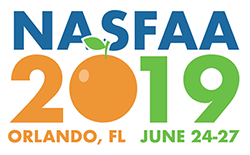 Visit NASFAA's Orlando Travel Guide for more information regarding discounted theme park tickets for conference attendees. The nightly fees for parking are listed below and subject to change. *A non-registered guest is a guest who is visiting the hotel to use the facilities and services, but is not staying overnight.